An Epic employee recently responded to a player's inquiry as to whether the emote turbo farming glitch is okay to use in the game or not. Epic Games is just one of many game developers out there that maintains strict policies regarding in-game cheating and the use of exploits. The most recent was Faze Clan's Turner Tenney, popularly known as Faze Tfue, after his account got a permaban for buying "Fortnite" accounts, VPE Sports noted. In line with this, the game maker also made some sort of a low-key announcement recently about an existing exploit in the game. Someone from the FortniteBR subreddit recently posted a screenshot showing the conversation between an Epic staff member (Lynx), and a fan asking if the so-called "emote pickaxe cancel" trick is a bannable offense. Prior to the dev's response, it looks like players were given the impression that such an exploit was okay to use in the game and one of them pointed out that it was Epic's fault for putting it in the game in the first place. However, Lynx's response stated otherwise. Albeit admitting the fact that it's an error on the developer's end, this does not give players an excuse to take advantage of such an exploit, adding that they don't approve using it. The staff member further explained that it takes a "very specific deliberate action to use and that's not something a player can repeatedly do accidentally." 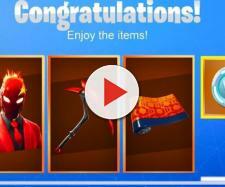 He even compared it to the shopping cart glitch that allowed players to go underneath the map. 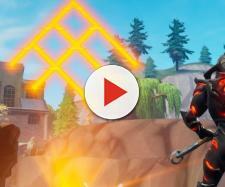 In line with this, Faze Tfue even demonstrated in one of his streams how this quick resource farming-exploit can be done. For the uninitiated, the extremely skilled "Fortnite" player was the one who first discovered the said glitch. It can be seen in the video how he made quick work of the massive tree trunk during a match. There are other players who claim that the glitch can also be done using other emotes (i.e. GG and Love emotes), though they pointed out that it's a bit tricky at first. Epic, on the other hand, has yet to make an official statement about the exploit. In addition, it doesn't appear that any players who used this turbo farming technique have been punished. Meanwhile, the game maker is about to roll out another update, which will officially introduce a new Limited Time Mode known as Playground. 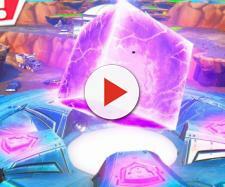 Epic also confirmed that resource regeneration will be buffed in this new game mode, including the spawn rates of treasure chests, Llamas, and ammo crates. Players need to be very careful, though, since it's also confirmed that friendly fire will be enabled on this LTM.